Having returned from the summer holidays, we are now prepared to begin our next exhibition. 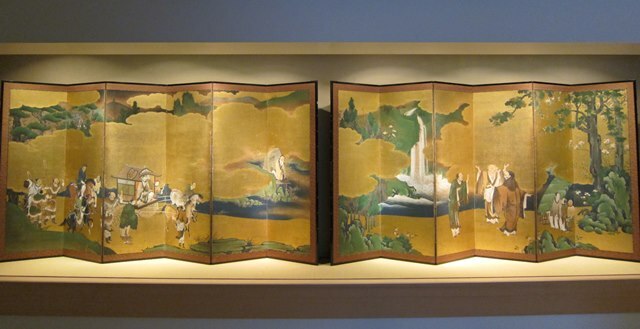 This time, we take up the theme of "Gold", which has long been used in art throughout China, Korea, and Japan. Gold pigments were used to copy sacred Buddhist sutras, gold leaf was applied to folding screens, and even a gilding technique using mercury was employed to adorn bronze Buddhist sculpture- a process that put the artisans' lives at risk. The works on display this time glow with a soft, warm brilliance that has been cherished for centuries. How might they shine on you.... ? We hope you will come by and see the show. ※Please note that certain objects will be rotated during the exhibition.